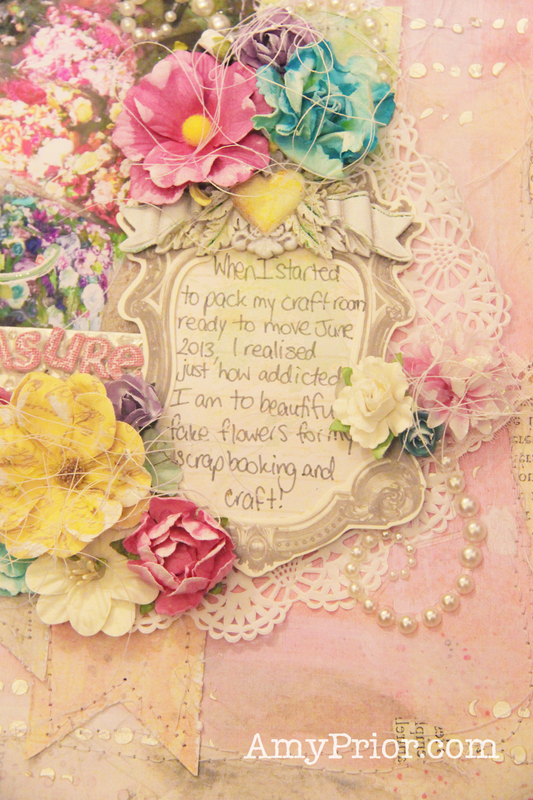 A2Z Scraplets BLOG HOP starting 27th July 2013 8.30am AEST here. Hi everyone! 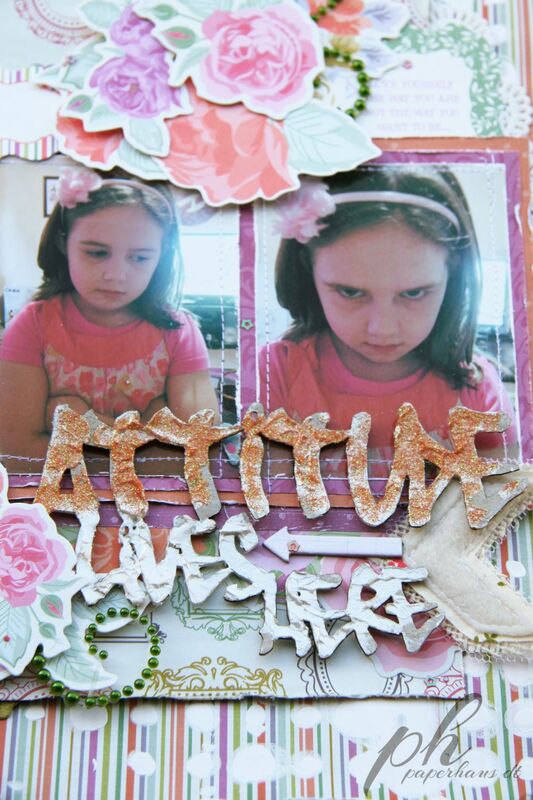 I am back to share another layout that I have created using the fabulous new A2Z Scraplets July Release Chipboards. Have you checked them out yet? Click here to view the first massive Blog Post of new releases and then click here to see the 2nd massive blog post. 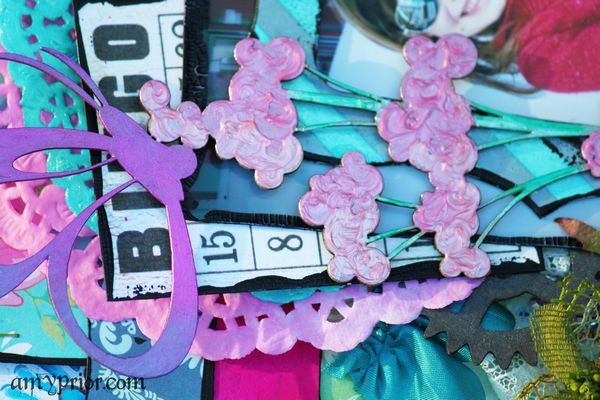 Yep 2 huge blog posts full of inspiration and fab new products YUMMY! 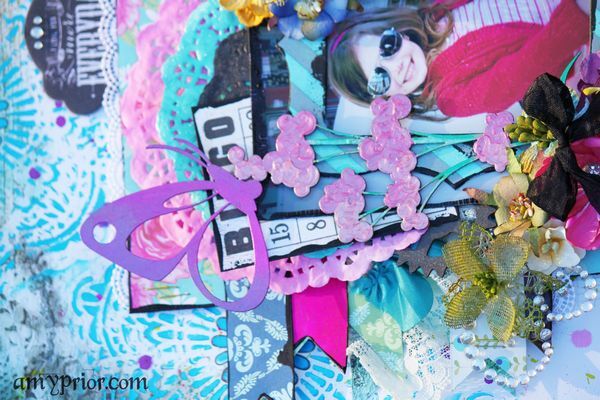 To create this layout I have used the fabulous Prima Marketing Art Journal Papers as well as lots of Prima Marketing & Ingvild Blome embellishments. 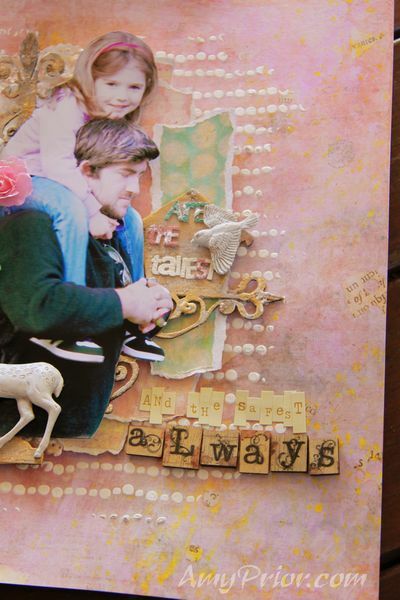 The background has been given some extra texture with Gesso and a Prima Marketing Static Stencil as well as some Lindy Stamp Gang Creme Brulee Cream Starburst Stain Spray for some glimmer. 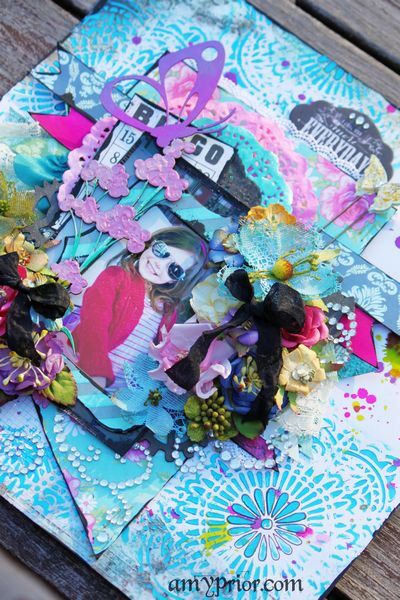 This fabulous fancy letterbox chipboard has been cut in half so I could mount around and under my photograph once it was fussy cut. 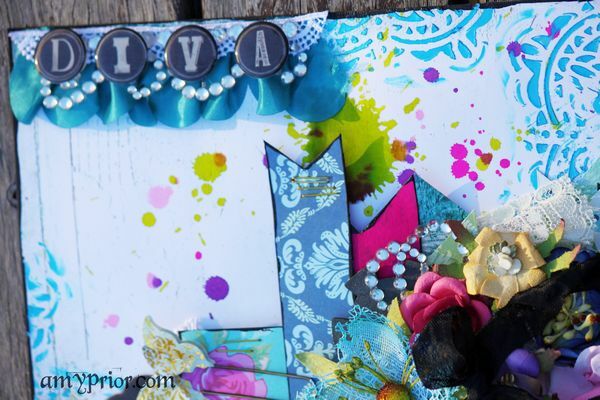 To decorate the chipboard I have used a variety of layers including Gesso, Crackle Paint, Acrylic Paint, Distress Inks, Lindy Stamp Gang Starburst Stain Sprays and finally some Viva Decor Inka Gold. 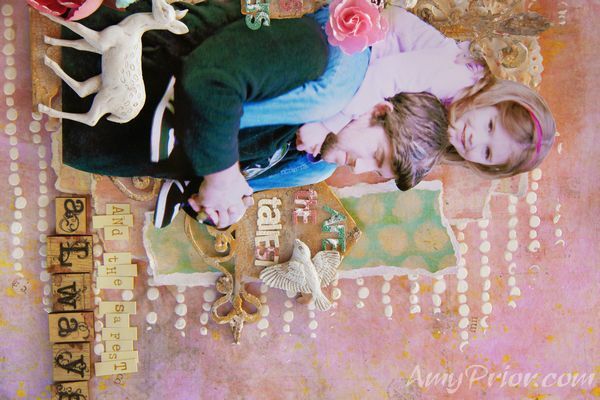 I just love this layout and photo and I just wish my darling husband’s eyes were open in the pic LOL well that is it from me today, until next time, happy scrapping! Hi everyone! Wow my poor blog has been neglected in my moving house but all that is about to change I promise. I am happy to say that my studio is unpacked to the point of being able to work in there YAY. Not ready for classes yet but I have too much to catch up on to worry about that this week anyway. I hope you are all well and having a fabulous day wherever you are in the world. Today I wanted to quickly come share my entry for this month’s Once Upon a Sketch Challenge. I am super late with the deadline being midnight tonight but there is still time for anyone eager to get their entries in. The challenge this month is to use the sketch below and to incorporate the theme “My Guilty Pleasure”. 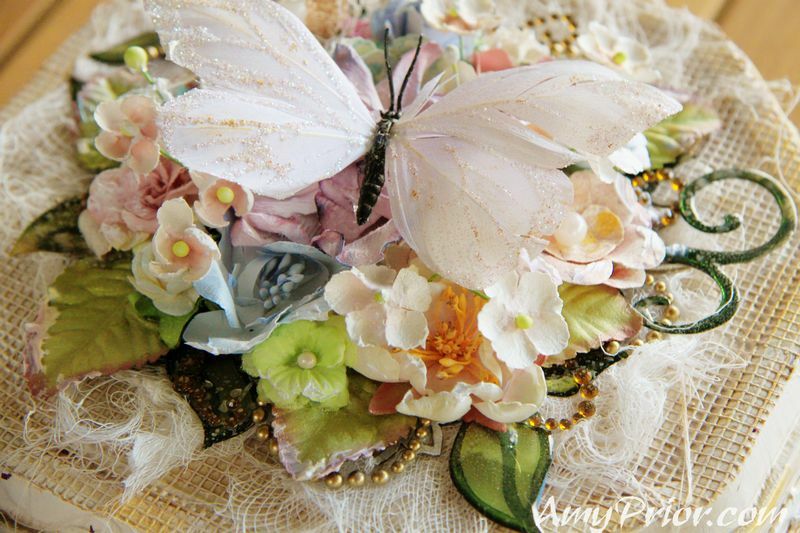 Ok so my guilty pleasure is probably Pepsi Max because I really cannot live without it but coming close for second place would be my love for Scrapbooking Supplies but mainly FLOWERS! Yes I have way too many yet I never seem to have the right one for the task LOL. The photo is an instagram pic that I took while I was packing up my studio for the move and I was a little shocked when I unpacked my flowers into these giant bags. 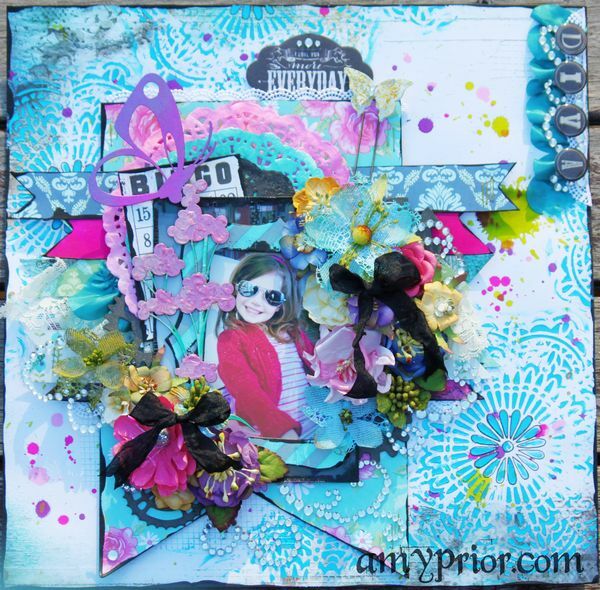 The fabulous papers that I have used are from the Prima Marketing Art Journal 12×12 Paper Pad. 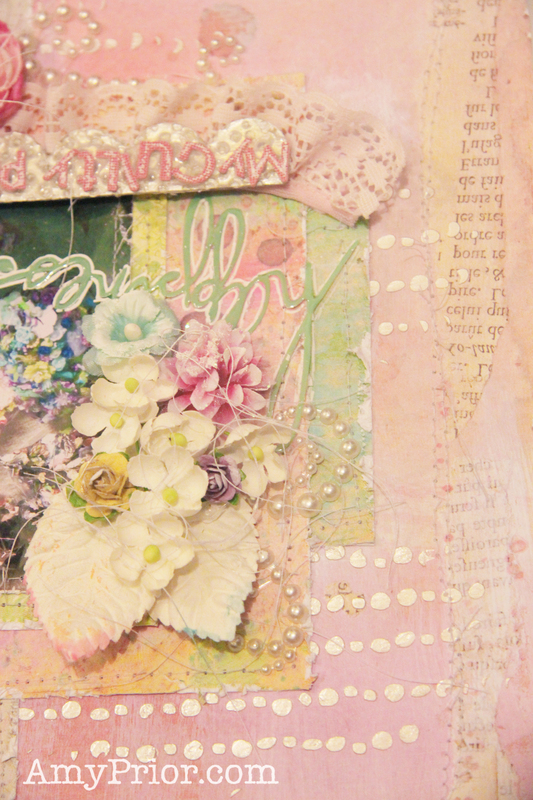 I am just in love with these fabulous papers at the moment and they worked well with the layout that I had in mind although I added a couple of extra layers that weren’t in the sketch LOL I just couldn’t help myself. 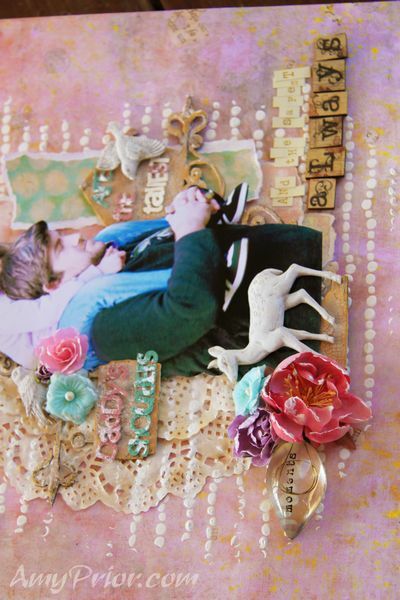 After layering all the paper together with my photo I decided that I wanted to machine stitch around all the edges which of course is a lot easier BEFORE you layer things together but I think I pulled it off LOL. I then went to town with a sewing pick to rip up some of that stitching to give a more aged shabby look. 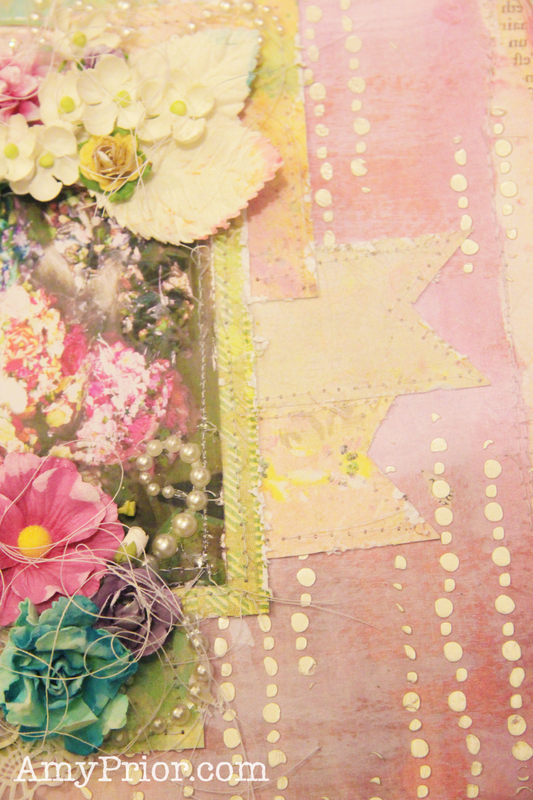 I also kept all the loose threads from the machine stitching so I could add to the flower clusters. 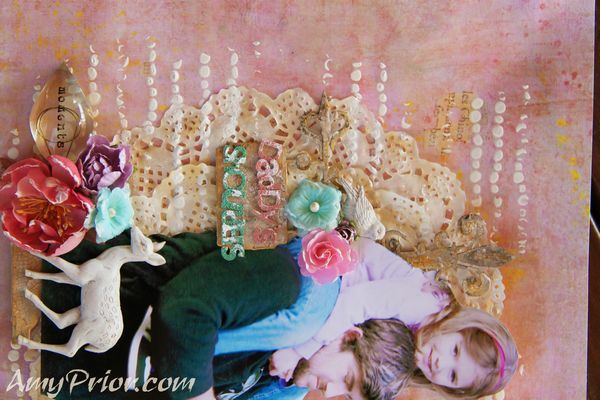 The Scalloped Chipboard piece was cut from the A2Z Scraplets Nested Scalloped Squares. To decorate these I have simply added some Mother of Pearl Modelling Paint over the top roughly and then stamped with my Stampin Up Polka Dot Wood Mounted Background Stamp. 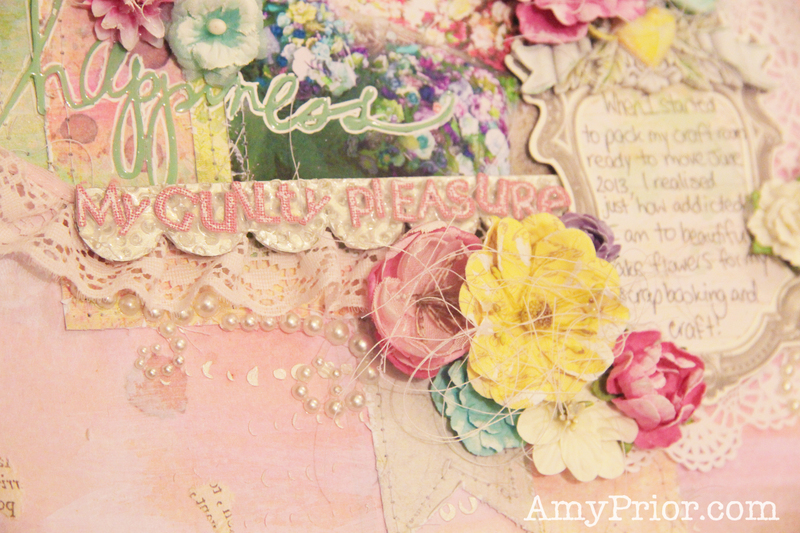 Just love the effect it created and I then added some Glossy Accents to help the Prima ABC letters adhere properly to the chipboard piece. 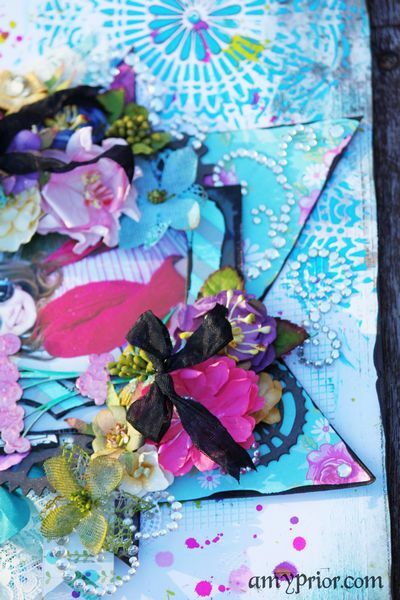 The background paper was also given some smeres of the Viva Decor Mother of Pearl Modelling Paint over the Prima 12×12 Static Stencil. 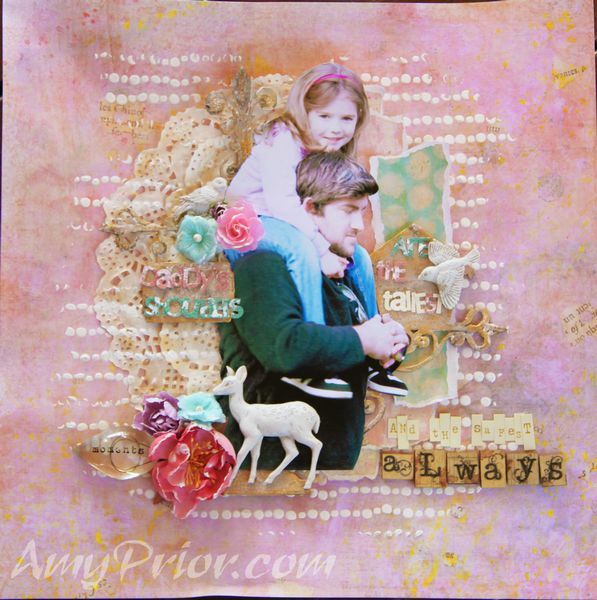 I just adore this stencil and I am sure it will be my new favourite. 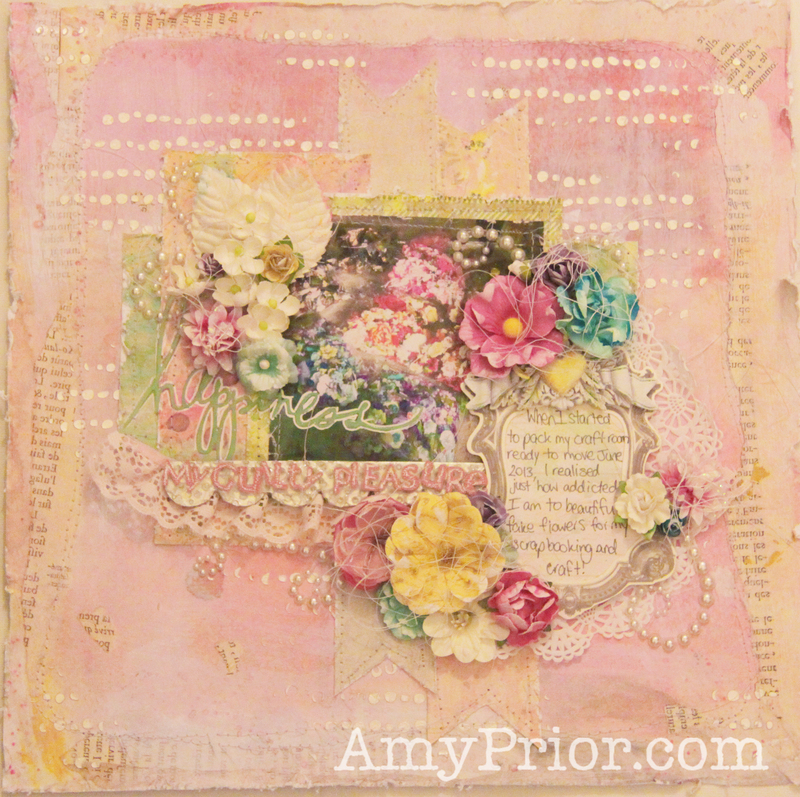 Last but not least was a bunch of fabulous Prima flowers, a Flourish with a Bling Grace Pearl Flourish cut up, some journalling, inking with distress inks on the shabby resin, and Distress Staining the flower edges with White then voila! I hope I have inspired you all to get creative and don’t forget that the Once Upon A Sketch Challenge ends midnight tonight and you can view the website here.